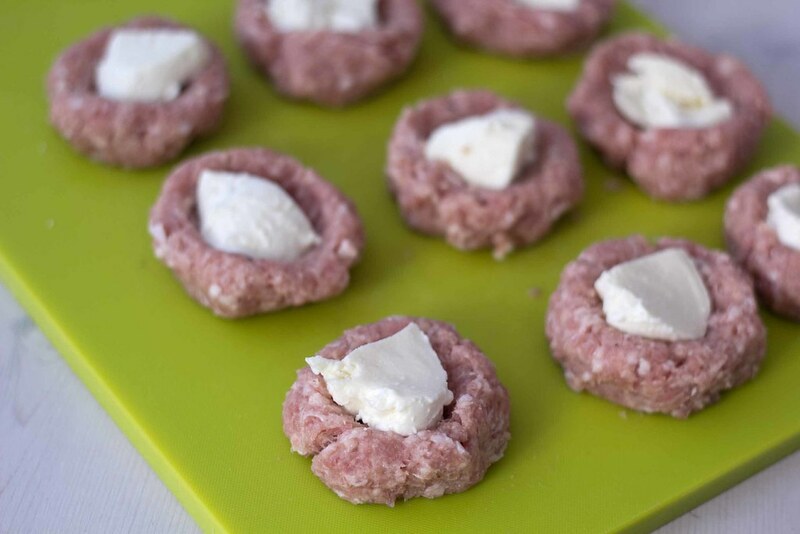 Recipe for Meatballs with Mozzarella, very delicious! We love cheese and especially fresh mozzarella because it is so soft and juicy. One day we came across the idea of meatballs with a core of melted mozzarella cheese, it just sounded so delicious that we had to try it out. 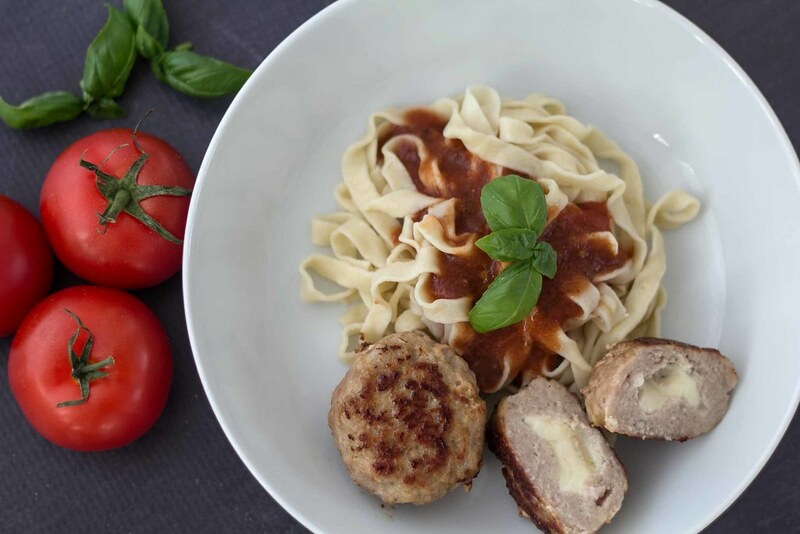 This recipe for meatballs with mozzarella is simple to cook and has a great taste – we have adjusted the ingredients back and forth and this is now our favorite meatball recipe. 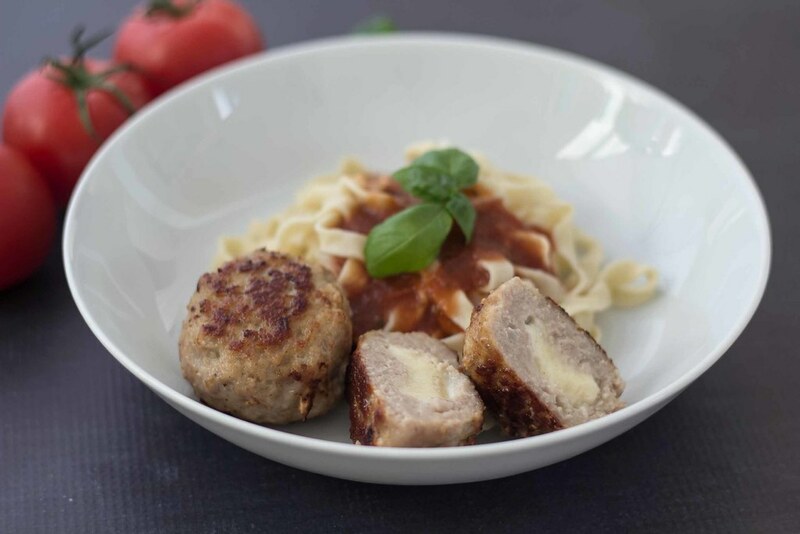 We normally serve these meatballs together with our homemade pasta and our homemade tomato sauce. I you are in hurry you can just buy a tomato sauce and some pasta from the super market – then you have yourself a super delicious and easy dinner. Step 1: Mix the minced meat with bread crumbs, eggs, flour, salt and pepper. 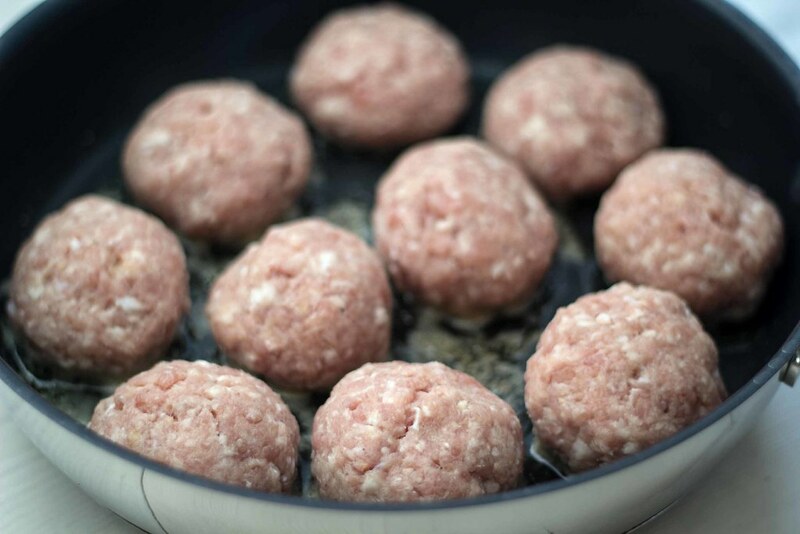 Step 2: Make 10 large meatballs with a small well in the middle. Step 3: Cut the mozzarella in 10 smaller pieces and put one piece in each of the wells. Step 4: Close the well so that the mozzarella is in the center of the meatballs. 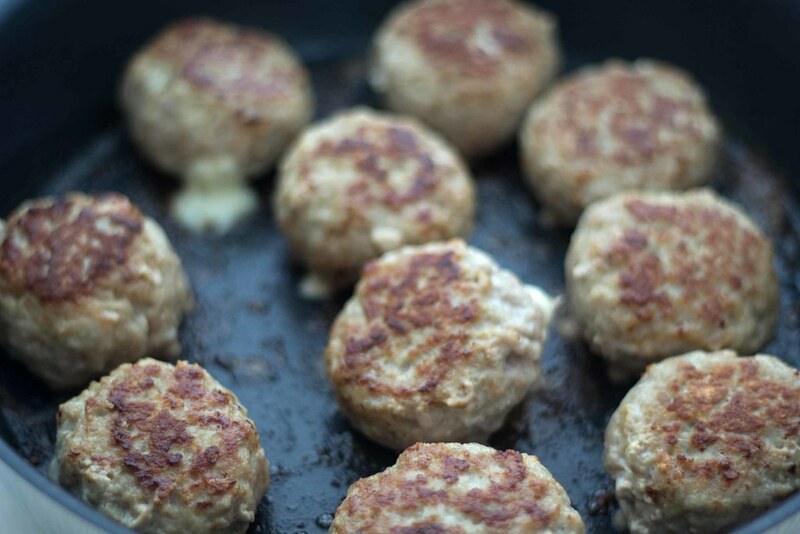 Step 5: Fry the meatballs in some oil until they are done. Step 1: Mix all the ingredients for the tomato sauce in a sauce pan. Step 2: Simmer the sauce for 30-60 minutes. Step 3: Blend the sauce using a hand blender. If you do not have one use your regular blender. You can find a more detailed recipe for this tomato sauce by clicking here. 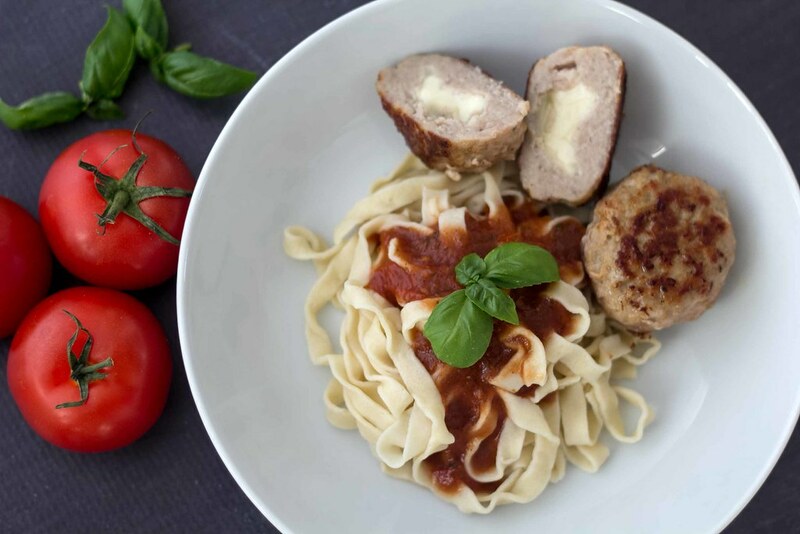 Serve the meatballs with some homemade fresh pasta. « Homemade Pasta / Lasagna Noodles – Only Two Ingredients!